Estonia is dotted with a thousand manors. The manors vary a lot in size and design. Occasionally one stumbles upon an impressive manor building that lies dormant. Hõreda is such a manor, completely boarded up and in a state of disrepair, yet it's an impressive building, with potential. 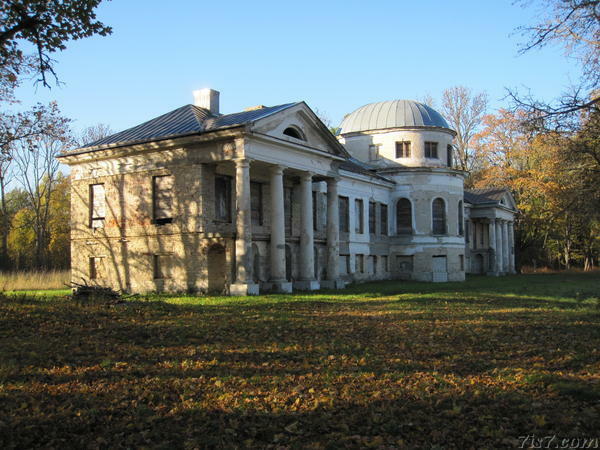 The main building of Hõreda manor was completed in 1812, and built in classicist style. Location: 59°1'23"N 24°55'19"E on: Google Maps, OpenStreetMap, Maa Amet.